One of the most common injuries suffered in a car accident is a head injury. This can occur in one of two ways — when an external object strikes the skull, or when the brain is bounced against the inside of the skull during an accident. Since head injuries can be very serious, it’s critical to identify them and get medical attention as soon as possible. Here’s how to spot a brain injury or a concussion after an accident and how to move forward after a crash that changes your life. Even if you feel fine after a car accident, it’s important to get checked out. Often, brain injuries and concussions take time to manifest symptoms. If you or a loved one have recently been involved in a car accident and experience any of the symptoms below, seek immediate medical treatment. 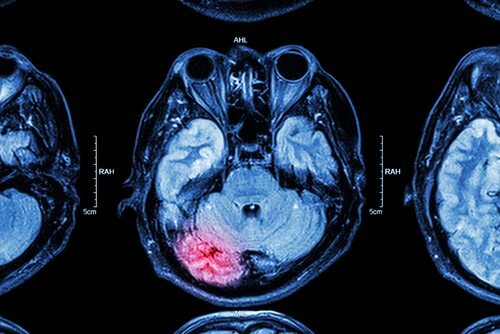 If you were involved in an accident and a brain injury or concussion may be suspected, a doctor will likely require a number of diagnostic tests to show what damage may have occurred. The most frequently used tests are x-rays, CT scans, and an MRI. These tests are often performed in the hospital as a precaution after a car accident to spot any problems. Any time you are involved in a car crash, it is important that you discuss your legal options with a car accident attorney. Accidents are costly, and if someone else was at fault, you may be able to obtain compensation for the financial, physical, and emotional damages you incurred as a result of the crash. At the Slonaker Law Firm, we work with accident victims every day. We can help you navigate through the complex process of getting the right medical care and restitution for your losses. Call today for a consultation at (352) 629-6656.